Good Read: Do Current Math Teaching Techniques Fail Even the Smartest Kids? "Students are rarely asked to solve a problem they are not thoroughly familiar with," Carol Lloyd writes. "Instead, they come to think of math as a series of rules to be memorized. 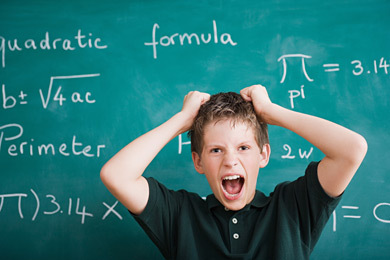 The trouble is kids don’t necessarily learn how to attack a new or different kind of equation." As sure as one plus one equals two, it happens year after year. Kids who have been bringing home A's in chemistry and acing AP Calculus arrive at college with visions of STEM careers dancing in their heads. Then they hit an invisible, but very painful, wall.